so i believe my last thread is dead.. so here it goes, 03 f4i, 954 front end. just finally got it running on all 4 cyl due to last owner had wiring issues and maint was way off. right now ive just finished the cluster mount but looks amazing. i used a 60k aluminum and radialed the bends for vibration. 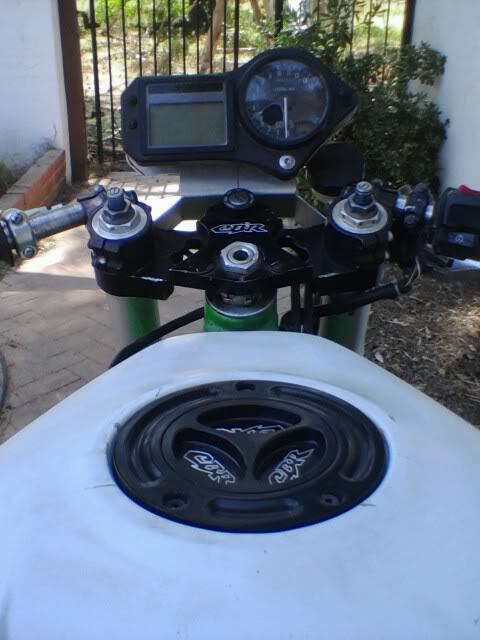 have templates for the headlight mount as of today will have pics up of those on the bike tomorrow. but here ya go. 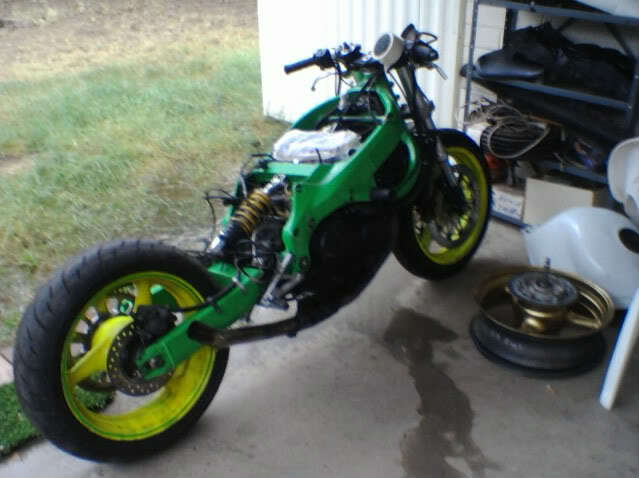 and currently working on a new splash for the old subframe i had on there. and also making new heel guards and they will be shaped as the honda wing. Last edited by TeamAeD1; 03-12-2012 at 07:59 PM. u prob should've updated ur other thread. its not that its dead, it jus gets pushed down if you don't update it often. just a thought. 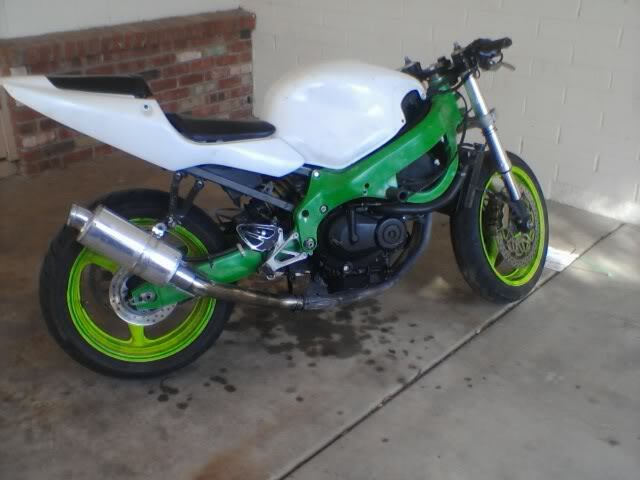 r u gonna keep the frame green? what about the wheels? what kind of headlight r u gonna go with? if i were u, i would keep the ram air tubes jus cuz u might lose some mid & high range power. i experienced that with my 929 and i kept mine on. yeah true about the thread. i just travel alot and have slow progress. ha. but right now im making all the brackets and whistles before the tear down. it will be red frame and sub with black arm as of now with red rims. 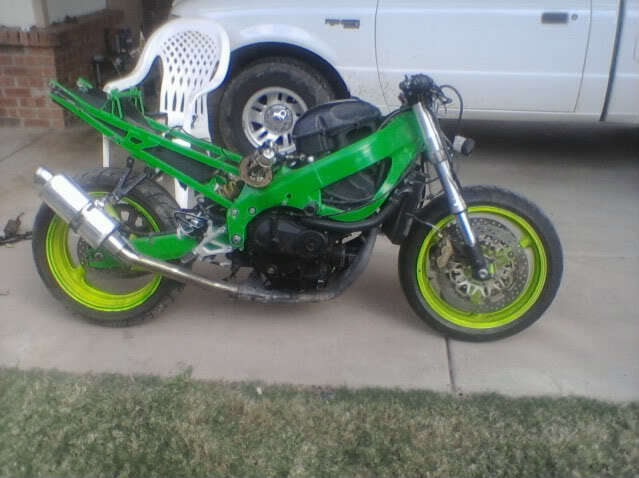 the bike has 42t up in the rear and it pulls power wheelies at about 8k in second and floats in third. kinda scary coming around a corner with mid way through and floating the front tire with the bald rear but fun. but then again this is my first fighter aswell as an f4i so i do not know the diff but if its that huge i will get the ducts. thanks for the input. 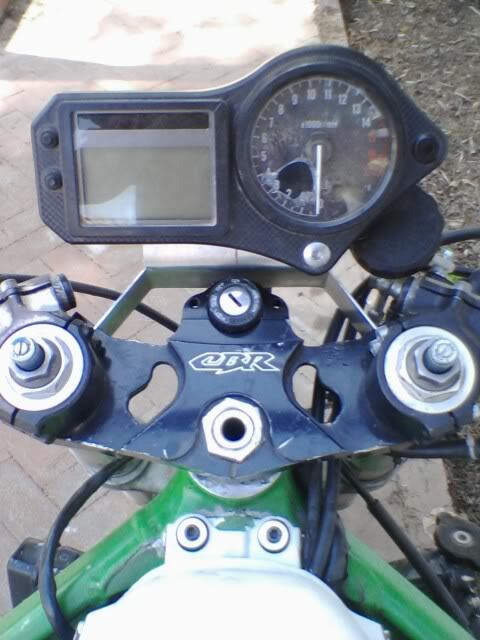 im looking for f4i rearset clips for the shifter and brake side i believe there like an E clip or the ones you have a retainer for but id like to get some if anyone has a spare set..
Last edited by TeamAeD1; 03-31-2012 at 01:02 AM. Well I was actually talking more about top end. It's jus something I noticed with mine. I also avoid wheelies but u can't help them in low gear lol. 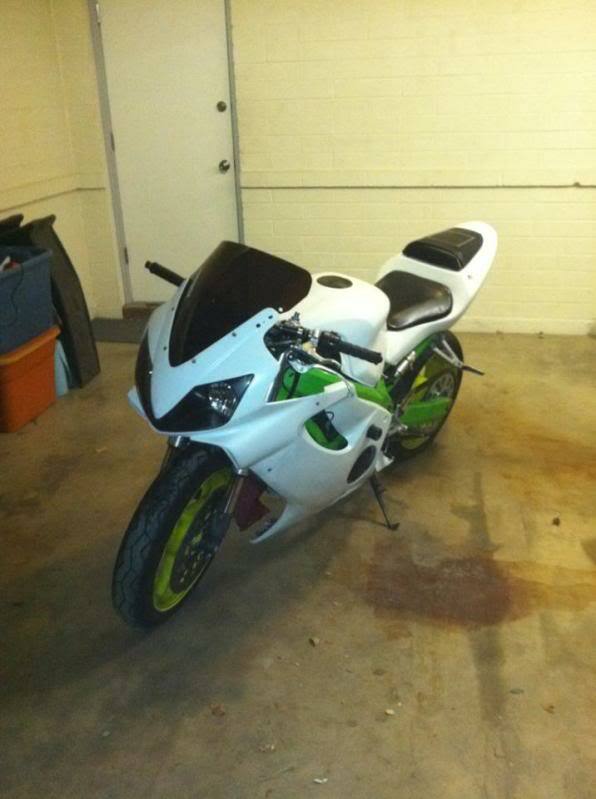 Strap one of those missiles on ur bike and remind those careless cagers that we all share th same road. Would like to see how the clocks are mounted. That's exactly how I want to mount mine on my F3. Have you got the templates that I could steal? Good luck finding an engine bud. Don't forget about th build.